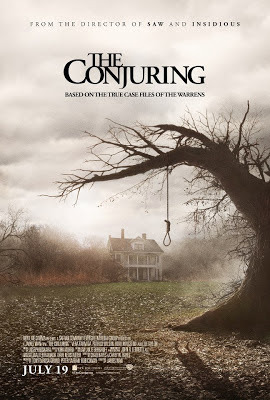 James Wan, the director of both Saw and Insidious, is at it again with The Conjuring and, after you see this movie, you may never want to hear someone clap their hands ever again. 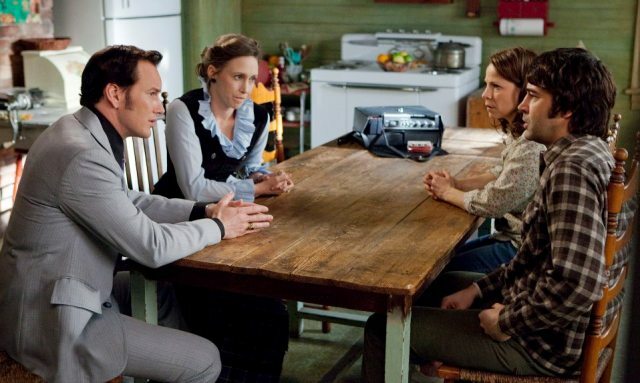 Vera Farmiga, Patrick Wilson, Joey King, and Lili Taylor, star in what could be the scariest movie of the year. To top it all off, its actually based on a true story! Roger (Ron Livingston) and Carolyn Perron (Taylor) believe they have stumbled upon a golden opportunity to start a new life after purchasing an old farm house that overlooks a lake and is neatly tucked away within the lush confines of the surrounding forest. Unfortunately, they were unaware of the mysterious past that has literally haunted the property for decades and is now beginning to cause some sleepless nights for the couple as well as their five young daughters. After asking themselves who they're gonna call to help with this paranormal activity, they discover Ed and Lorraine Warren (Wilson and Farmiga) who have been investigating such occurrences for many years. After setting up shop with cameras, microphones, ultra violet lights, and really cool 70's style haircuts, the duo, along with their trusted technical assistant Drew(Shannon Kook) and off duty officer Brad (John Brotherton), begin looking for the source of all the bumps in the night in hopes of finding a way to make it all go away. If you've watched any of the trailers, you know things go from bad to worse real fast after the story is set up and all the key characters are put in place. Oh, I mean bad for the people in the movie, not for the people sitting in the theater watching it all play out. James Wan does an amazing job of mixing in character development and plot progression in with some seriously scary moments that will literally keep you on the edge of your seat and grabbing onto the arm rests. I have to say, the thing I was most impressed with while watching this movie was the overall quality of the acting performances throughout. Wilson and Farmiga sell their characters while delicately balancing that fine line that, if crossed, can lead to unintentional campiness which would pretty much ruin a movie like this. 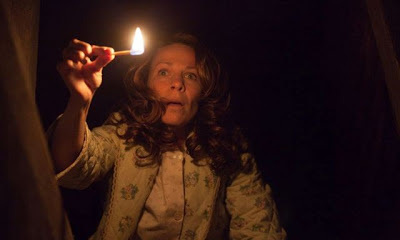 Also, big props to Lili Taylor for going all out in her performance which just gets better and better as the movie goes on. Another standout is rising star Joey King who, at the age of 13, has a more impressive resumé than most actors twice her age. This movie is a rare entry into the horror genre that actually lives up to the hype and delivers the goods from beginning to end. 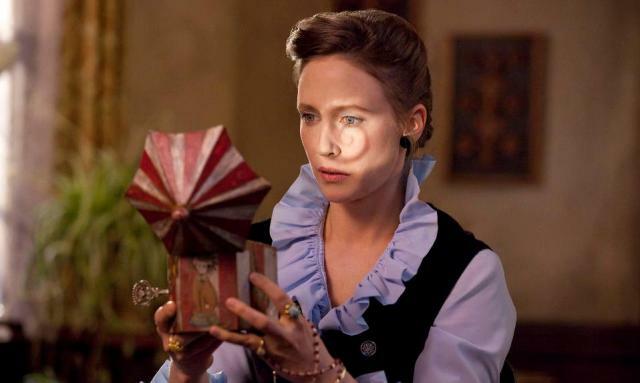 Most movies like this get so out of control by the third act, they lose the audience entirely, but The Conjuring stays on target and avoids the typical traps it could easily have fallen into. My recommendation is to go see this movie in the theater with a group of like minded friends that will all appreciate just how scary good this movie really is.